Moon Glow is finally done! It’s bound, labeled and washed! Now I just need to get a good picture of it. It puts me right in the black again. 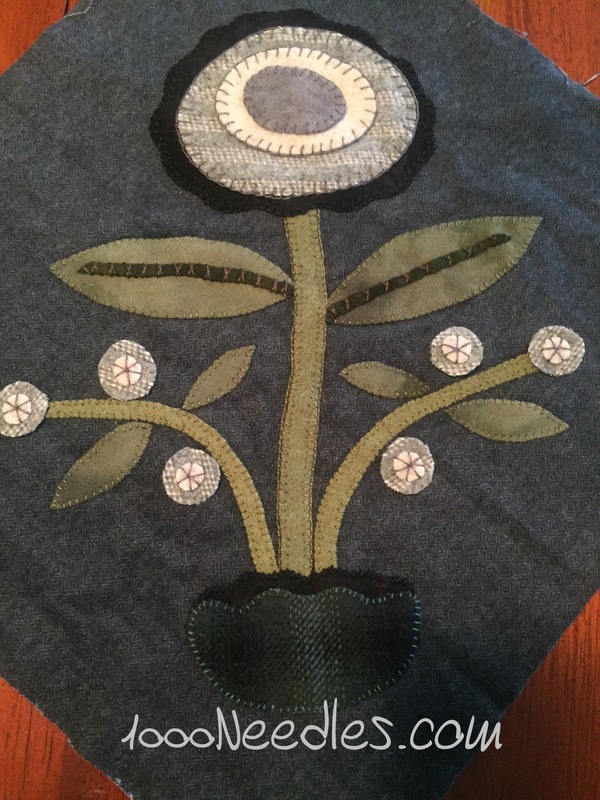 I’ll be working on applique’ing those little flowers next. Oh, I really like the folksy look of this project. Your stitches are lovely. Like those nice neutrals you are using on your wool applique. 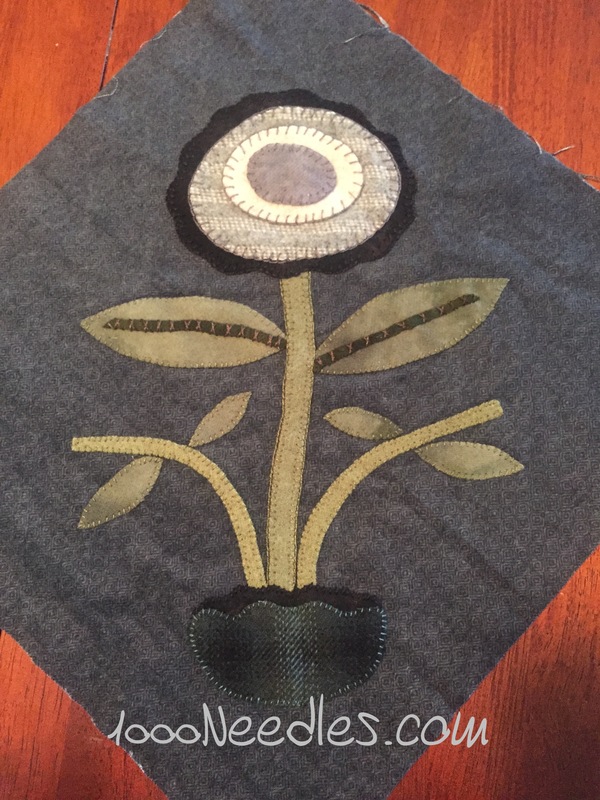 Love the nice neutrals of your wool applique. 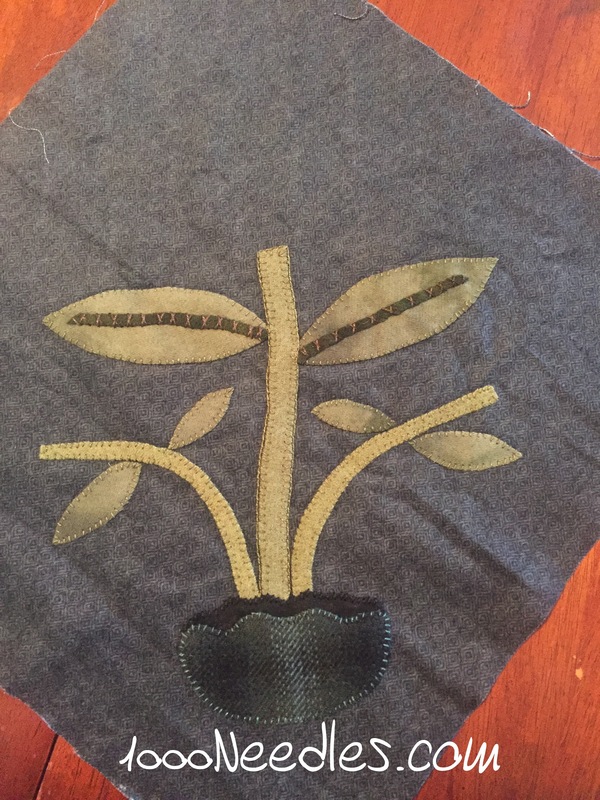 Your applique block is so beautiful — restful, gentle colors. I need to get some applique ready so I’ll have it on hand when I need to sit.